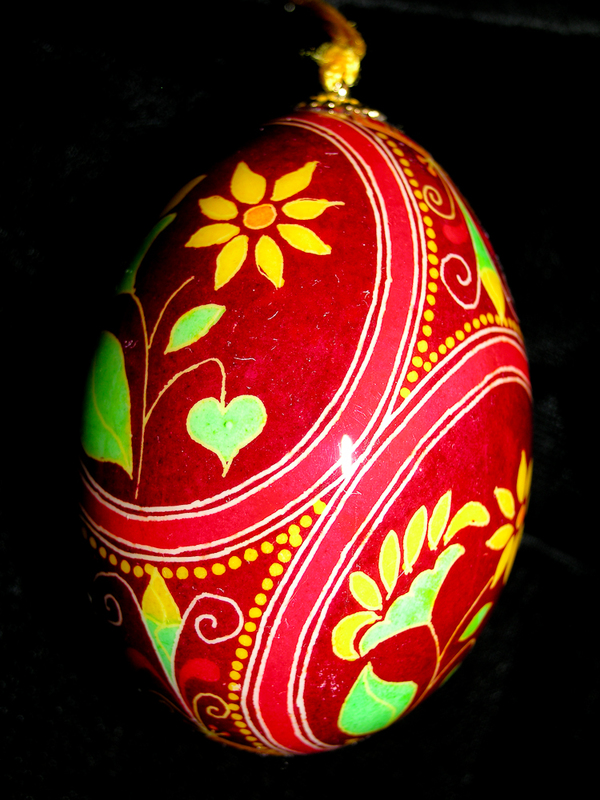 Pysanky artists are few and far between here on the West Coast so I was glad to find an online group centered around these eggs. Over the past year I have been enlightened and encouraged not just in this art, but in friendships across the world as well. 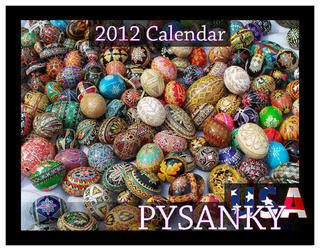 Recently one of our more computer literate members put together a 2012 calendar featuring pysanky from group members. As I flipped through a preview of the pages I was surprised and delighted to find a photo of my eggs graces the month of February, which also happens to be my birth month. A wonderful early birthday present! Just call me Miss February. The changing season brings a new pysanky display to the Kennedy Gallery. Ostrich, goose, duck, and chicken eggs in brilliant reds offer lots eye candy just in time for the holiday season. Take a peek at these and all the other art in this wonderful midtown Sacramento gallery.